BELROSE’s John Borrow has devoted much of his working life to being a volunteer and has now been made the captain of the world’s largest independent hospital ship. He took over the captaincy of Africa Mercy last month in Benin, West Africa. 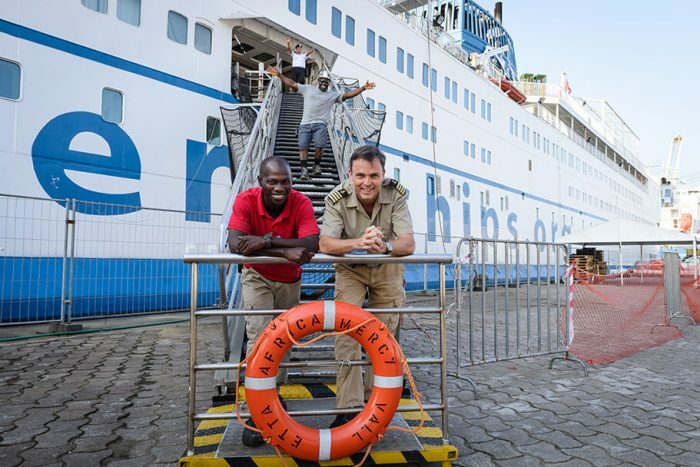 Africa Mercy is part of the Mercy Ships network of ­hospital ships which deliver free, world-class health care and sustainable development aid to the developing world. “We provide for people who have lost hope and have no other way of being rescued out of hopelessness,” Captain Borrow said. Captain Borrow said at one time he was “disillusioned” with his sea career, describing it as a challenging environment. He originally heard about Mercy Ships from a friend and the first time he set foot on Island Mercy, in Newcastle, he realised it was his “calling”. He is married to Lee-Anne James, a dietitian, and the couple have two boys, Tim and Sam. The Borrows joined Africa Mercy in Madagascar, in September last year.